Theresa May Defeat is "Real Blow to the UK Real Estate Sector"
Theresa May’s Brexit deal defeat in Parliament last night is a “real blow to the UK real estate sector”, according to industry experts. 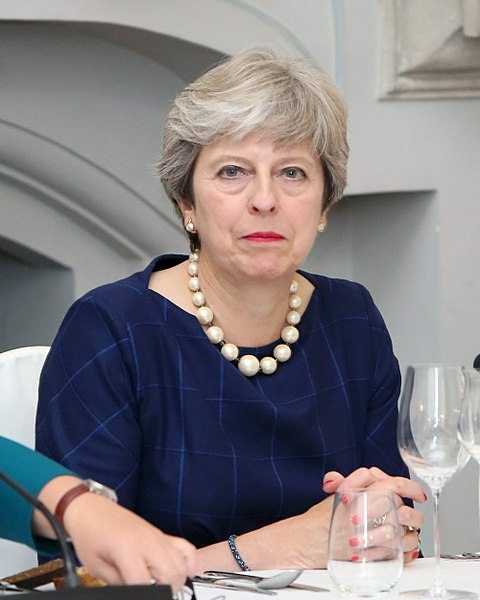 The Prime Minister’s Brexit deal was rejected by 230 votes – the largest defeat for a sitting government in history. MPs voted by 432 votes to 202 to reject the deal yesterday (15th January 2019), which set out the terms of Britain’s exit from the EU on 29th March 2019. The Labour Party leader, Jeremy Corbyn, has now tabled a vote of no confidence in the Government, which could trigger a general election. The vote is expected at around 7pm tonight (Wednesday 16th January 2019). The defeat is a huge blow for May, who has spent more than two years creating a deal with the EU. The plan was aimed at bringing about an orderly departure from the EU and setting up a 21-month transition period to negotiate a free trade deal. The vote was originally due to take place in December, but was delayed by May. The UK is still on course to leave the EU on 29th March, but the defeat throws the manner of that exit, and the timing of it, into further doubt. MPs who want either another referendum, a softer version of the Brexit deal proposed by May, to stop Brexit altogether, or to leave without a deal will ramp up their efforts to get what they want, as the Prime Minister offered to listen to their arguments. In ordinary times, such a crushing defeat on a key piece of legislation would be followed by a resignation by the prime minister. However, May signalled her intention to carry on in a statement immediately after the vote. “The House has spoken and this Government will listen,” she said. MPs are set to debate Labour’s no confidence motion for around six hours following Prime Minister’s Questions today at 12pm. Corbyn said that this would allow the House of Commons to “give its verdict on the sheer incompetence of this Government”. In her statement to MPs, May said that she planned to return to the House next Monday (21st January 2019) with an alternative plan, if she survives the confidence vote. She said that she would explore any ideas from cross-party talks with the EU, but she remained committed to delivering on the result of the 2016 EU referendum. However, the European Commission President, Jean-Claude Juncker, said that the risk of a disorderly Brexit had increased as a result of yesterday’s defeat. He said that the agreement was “the only way to ensure an orderly withdrawal”, and that he and the President of the European Council, Donald Tusk, had “demonstrated goodwill”, with additional clarifications this week to put MPs’ minds at rest.